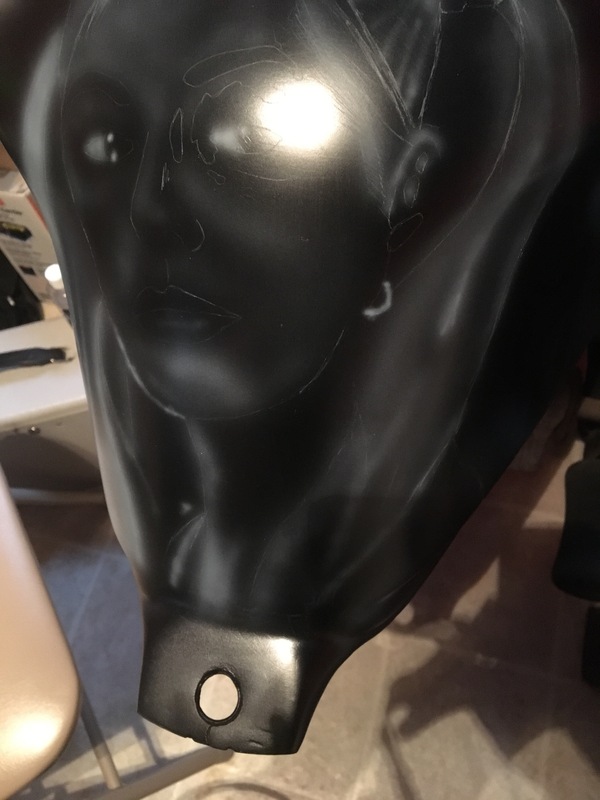 Wassup all, I wasn't happy with the wolf windscreen, so time to get the gas tank how I want it! 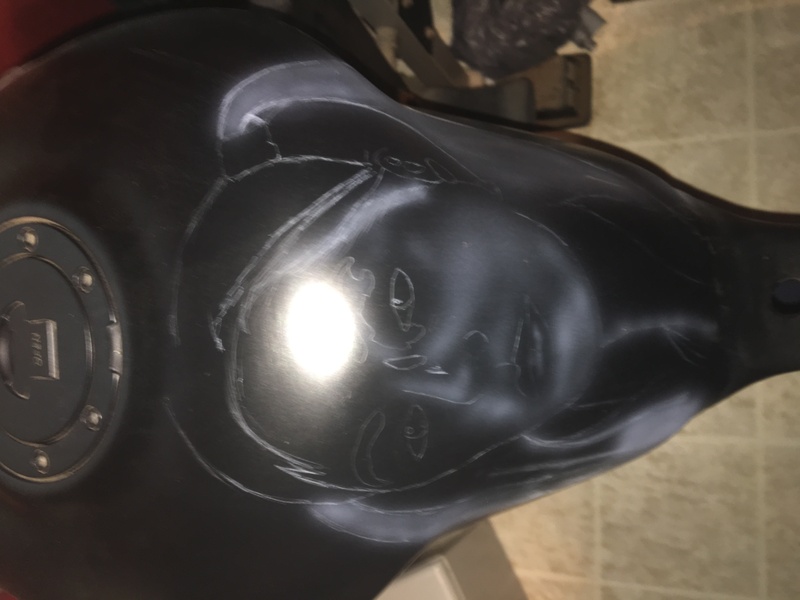 First up find a portrait I can put on the task tank and live with. 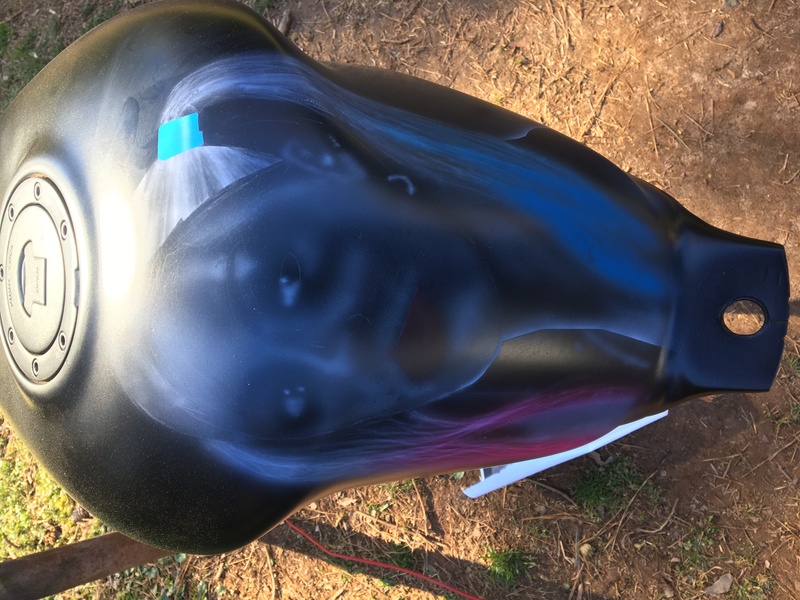 The new harlequin portrait with the different color pigtails will work! 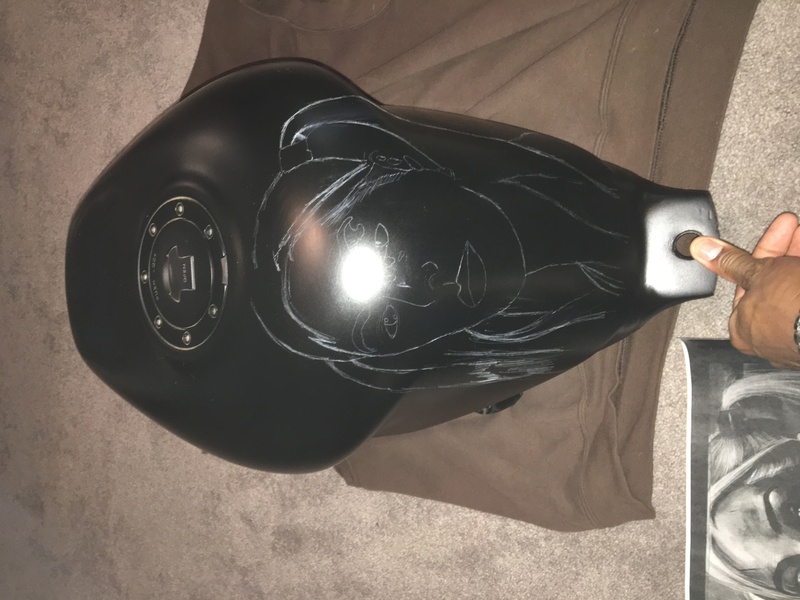 First up is to get a decent sketch up, doesn't have to be perfect. 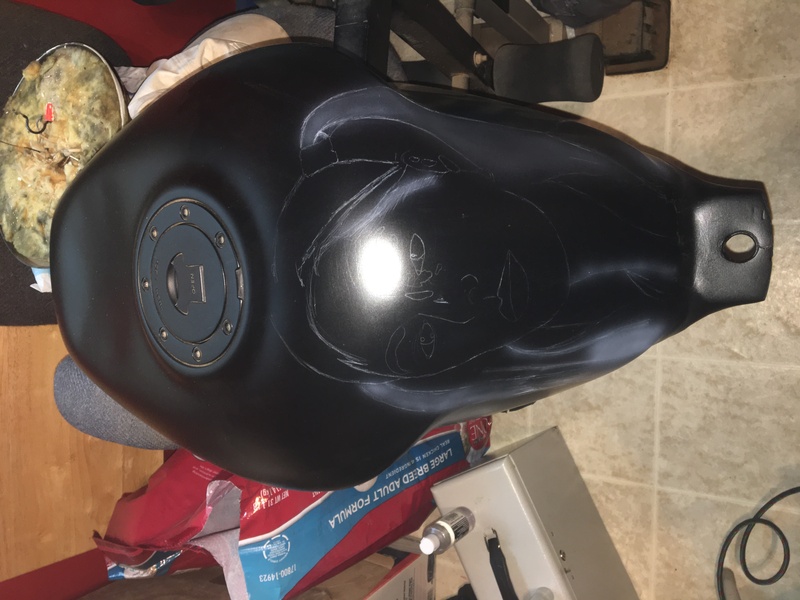 Started working from the outside to the inside. 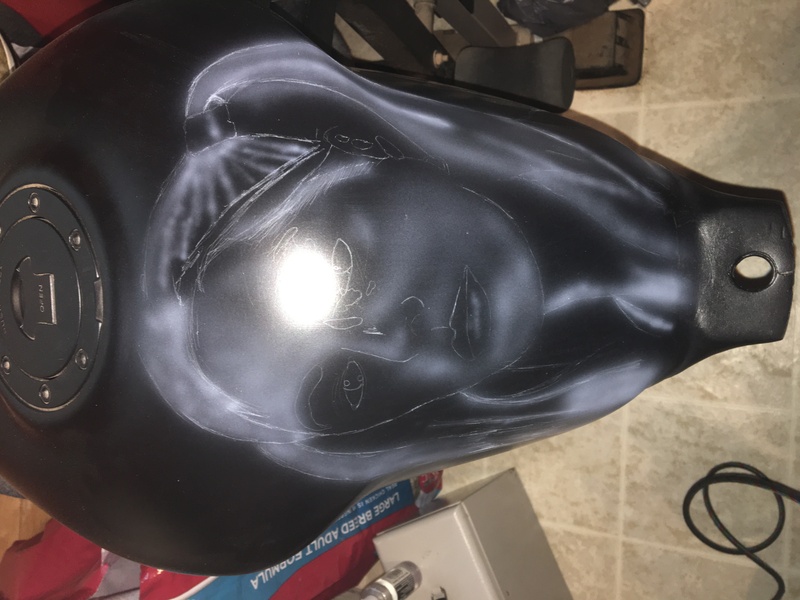 Ponytails first, then freehand and build up the areas for color. 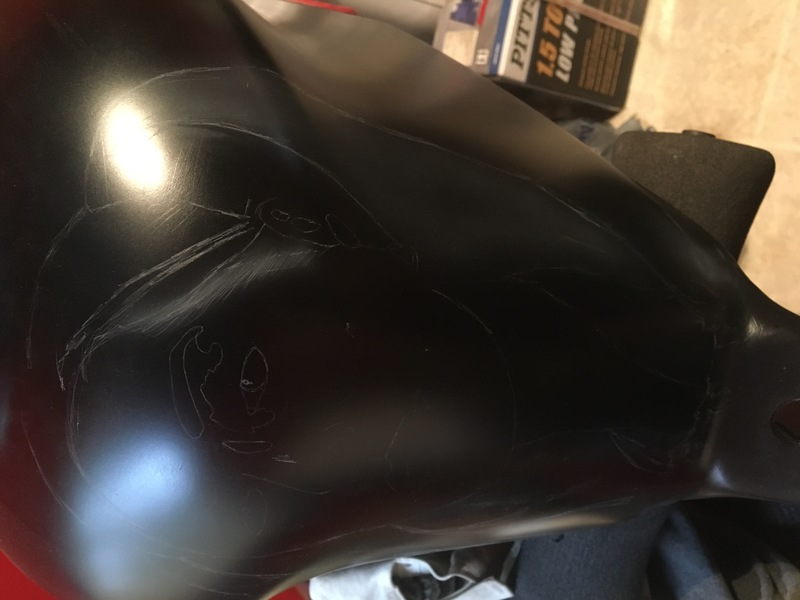 In these pictures I just slowly work to build up areas in the face, and also some hair. 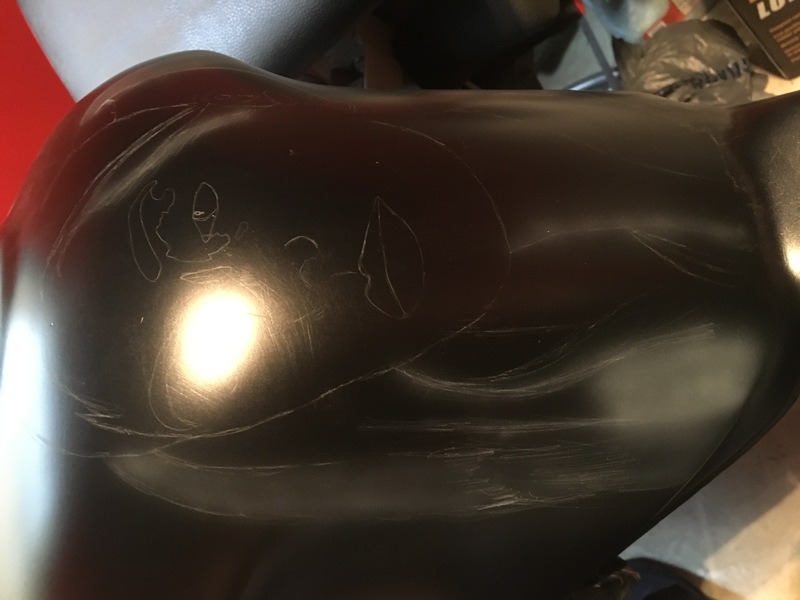 Started to do the strands to the hair going to the ponytail. 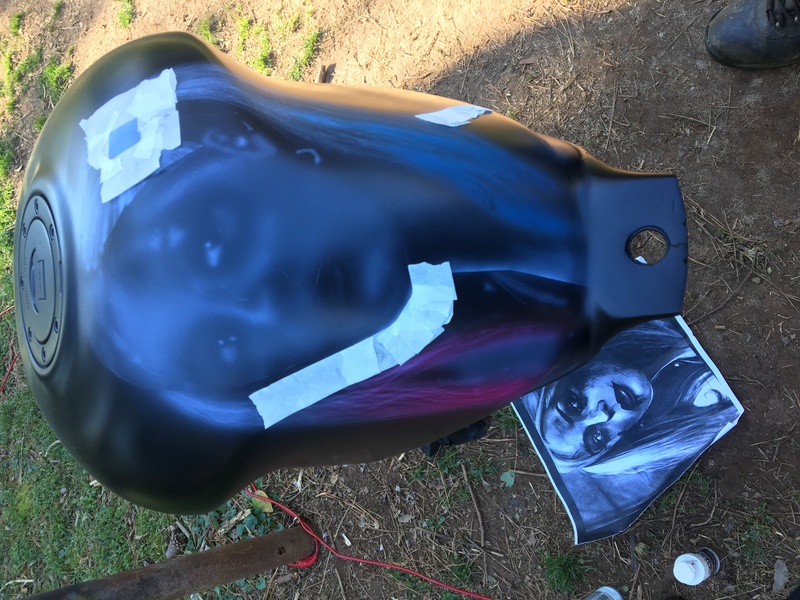 Just building up the area. 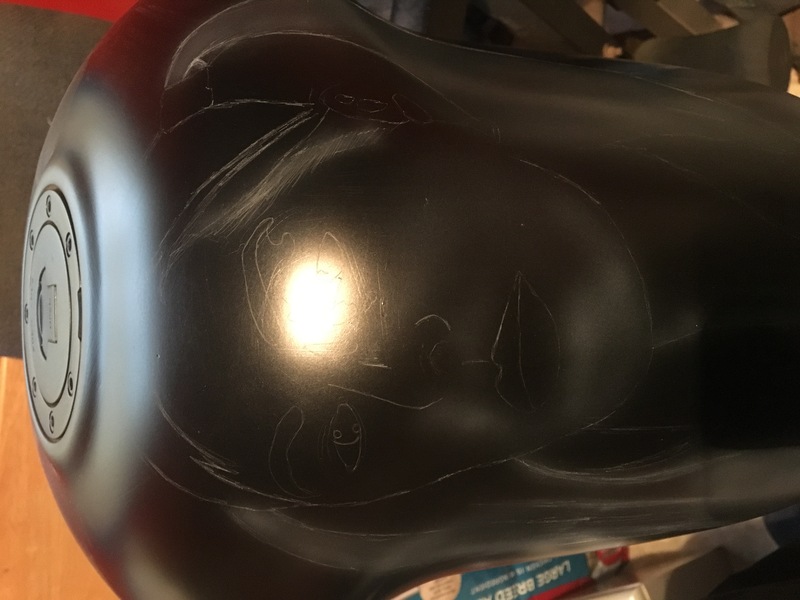 Add some areas for the bangs, fill in some more neck/collarbone area. 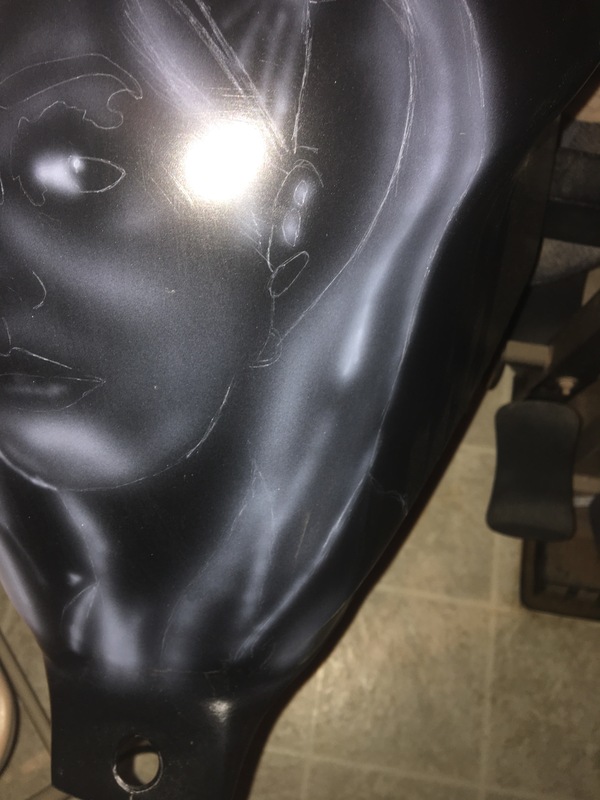 Started to build areas around both eyes. 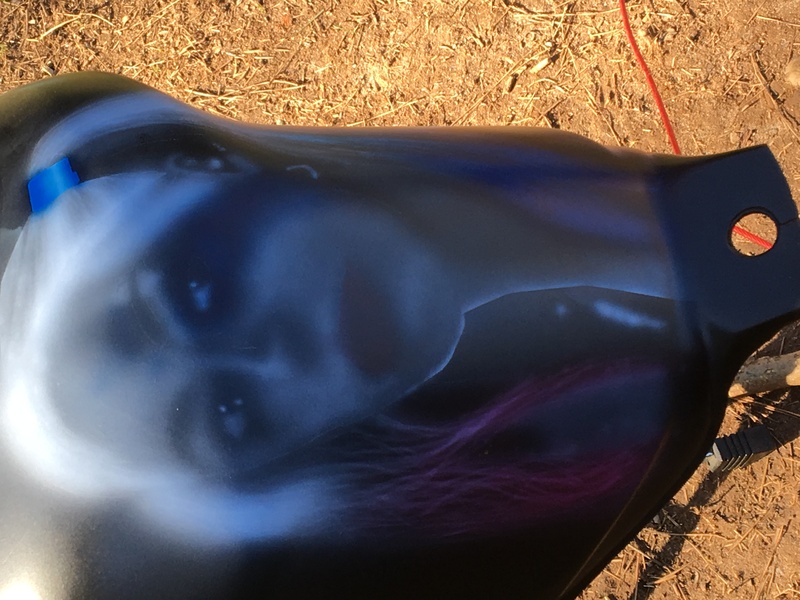 Also started the eye reflections. 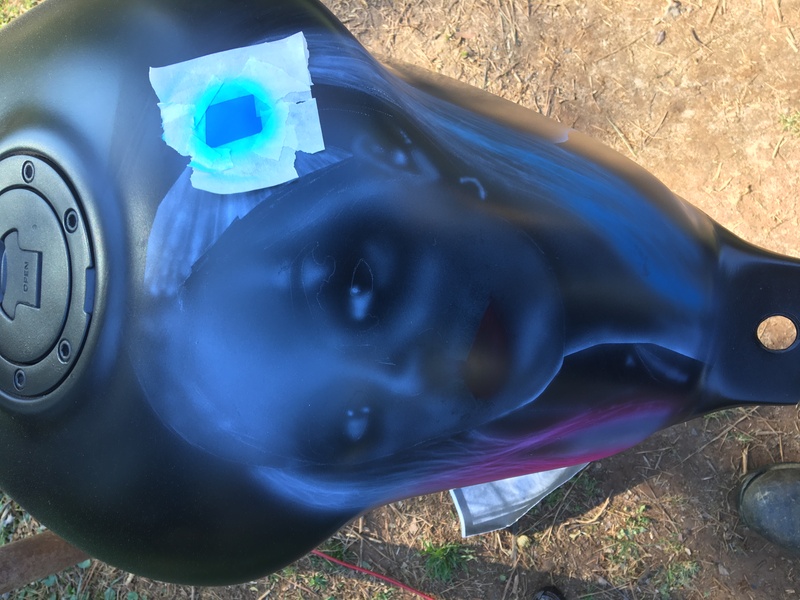 Filled in the eyes highlights, also filled in the chin area some more. 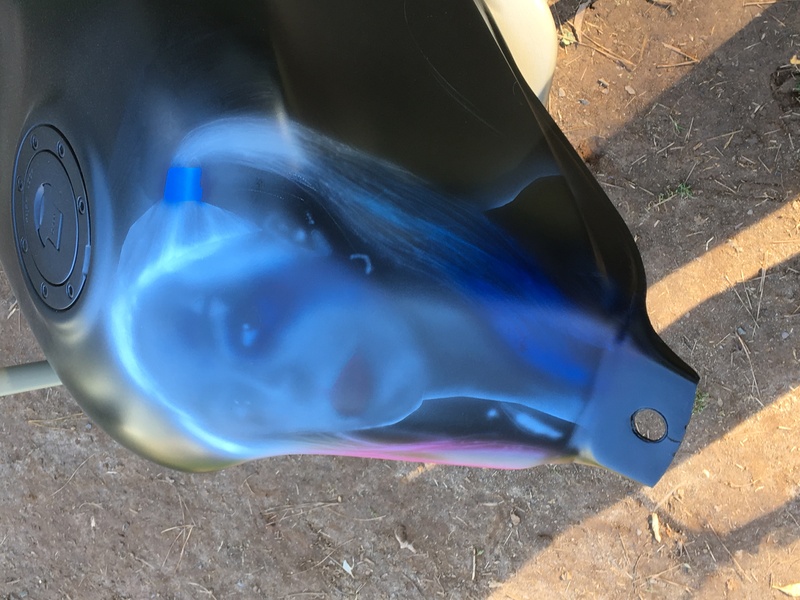 Last edited by edwardzx7; 05-23-2017 at 08:26 AM. 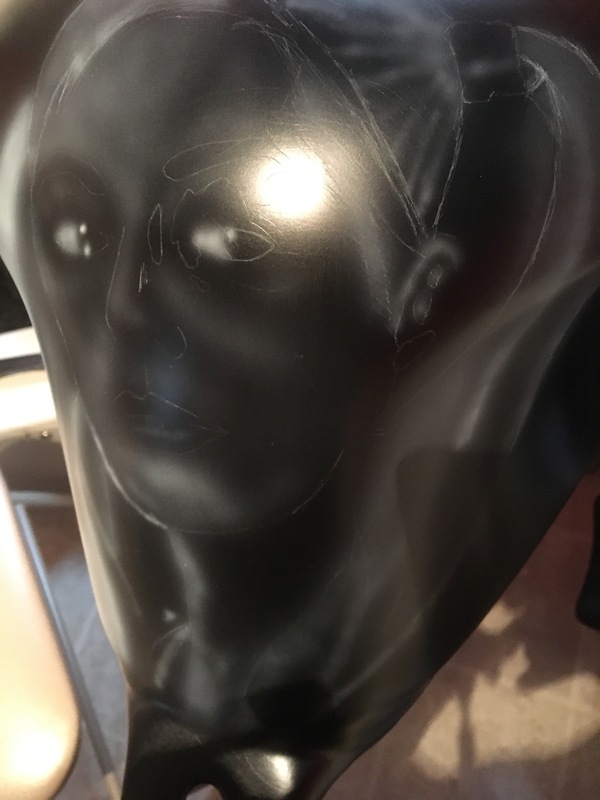 Did s few little touch/up, also filled in some ear lob areas and earring. 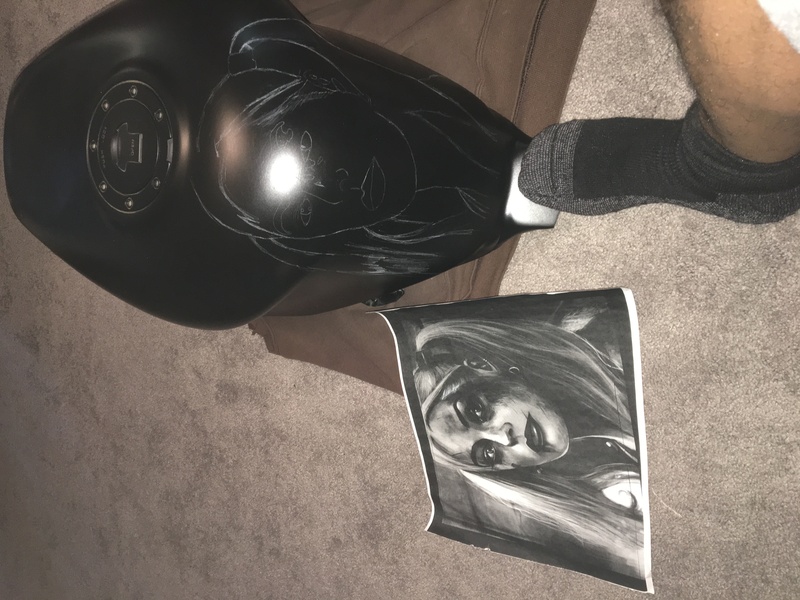 They're few steps I couldn't take a picture off because of a dead battery. 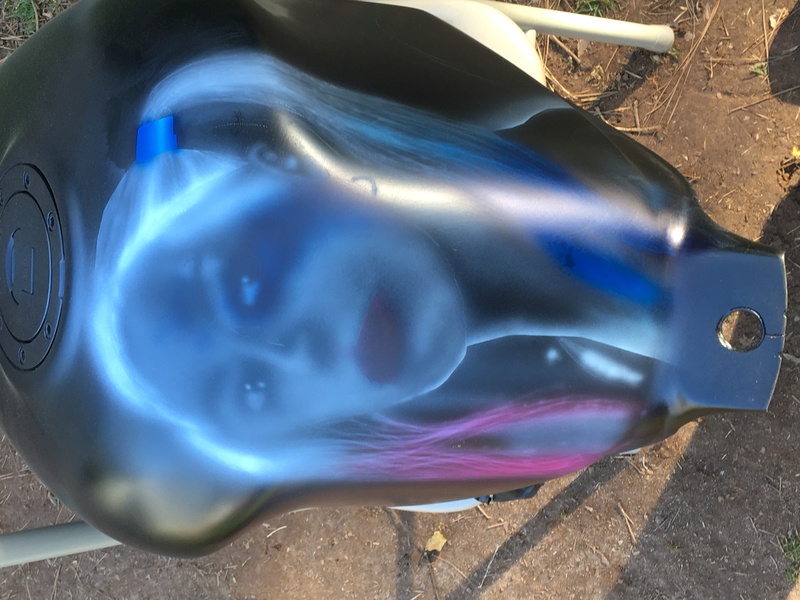 On both sides the hair was done in white, then I went over the white with pink on one side, and blue on the other! 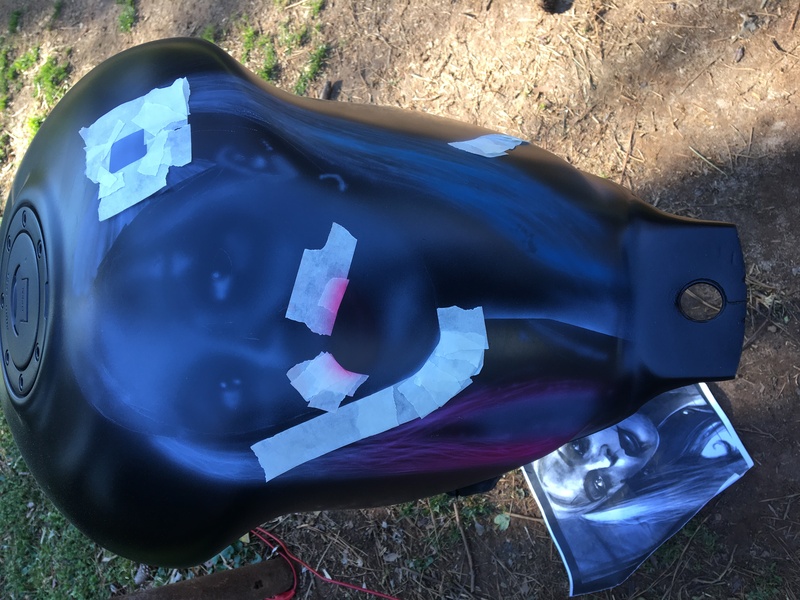 So I did the left side of the face highlights, her blue hair bow, strands going to her bow, and her lips! 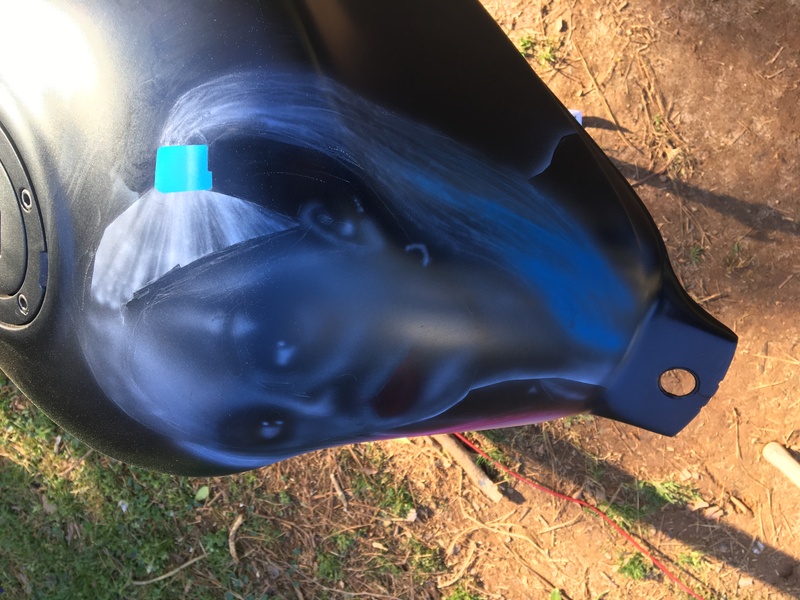 These are kind of hard to see but it's just dark blue "make up" running on the side of her face. 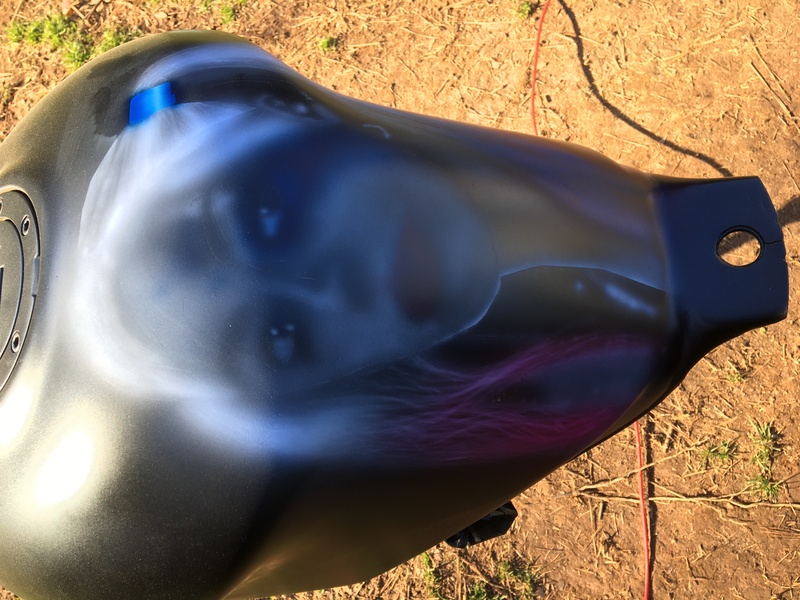 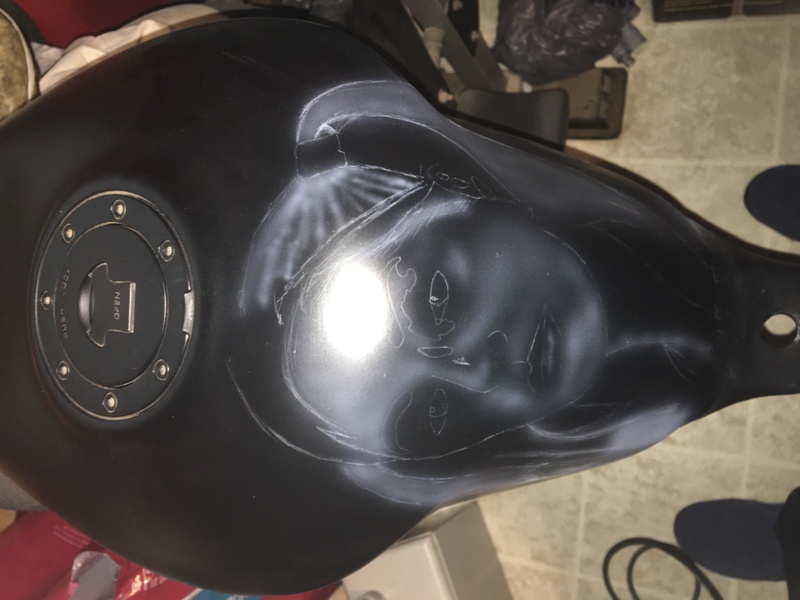 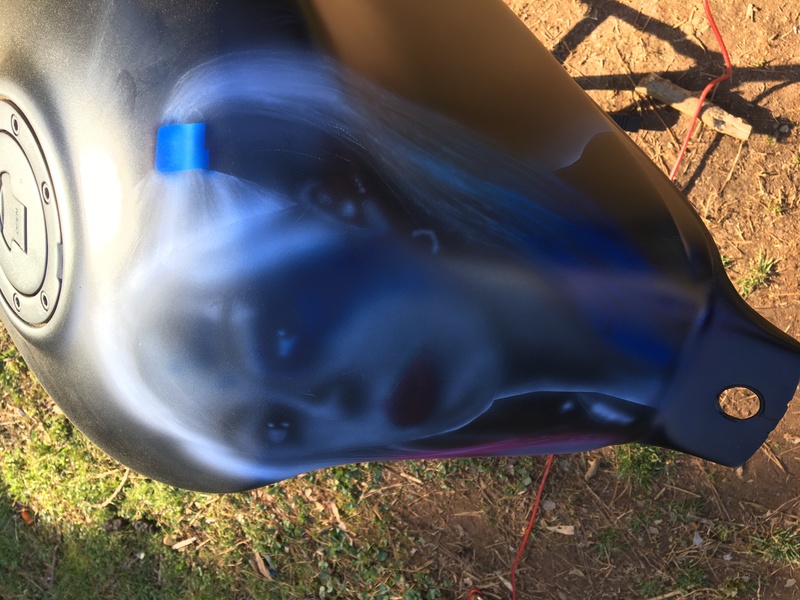 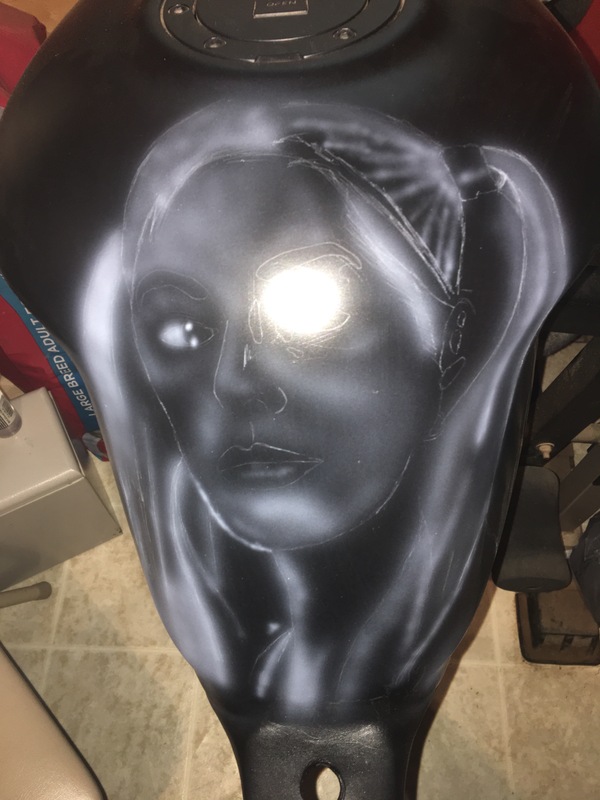 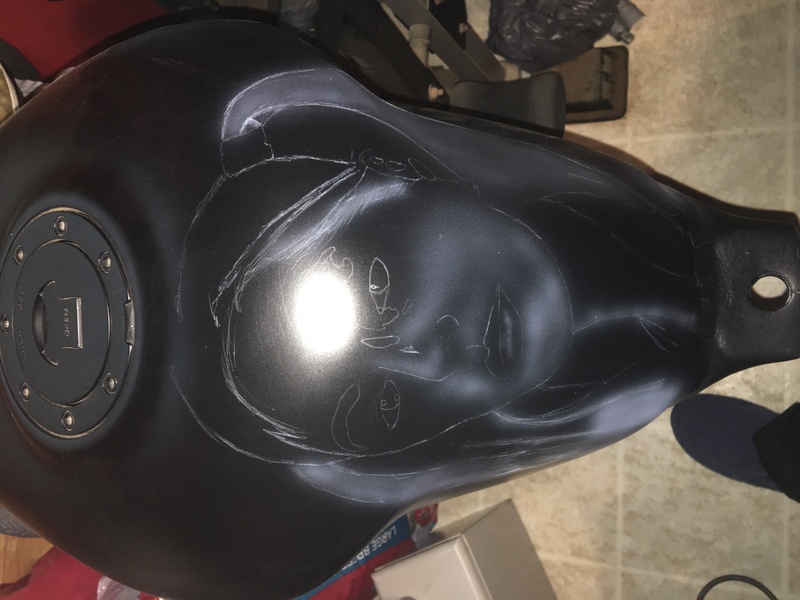 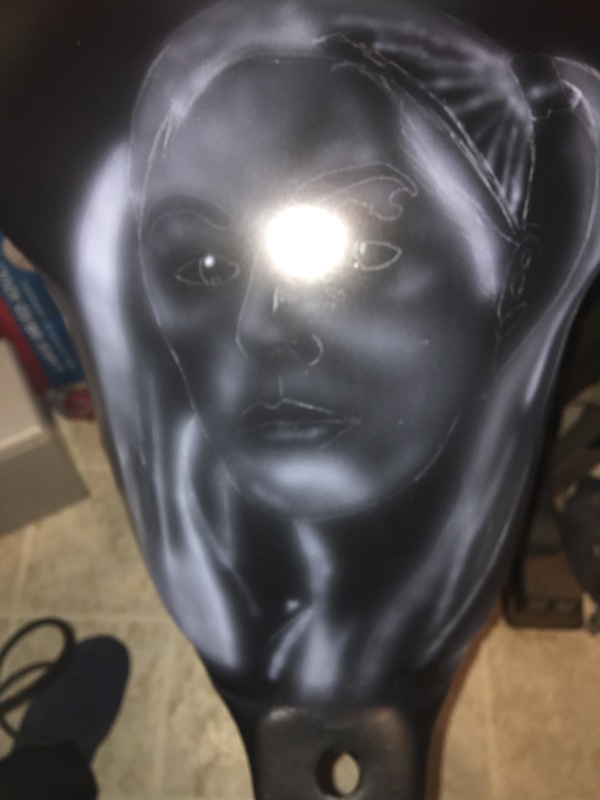 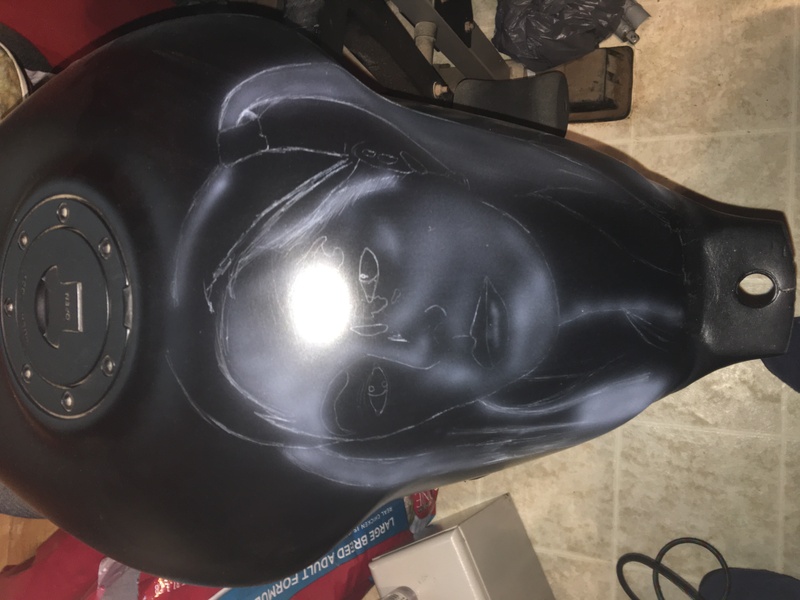 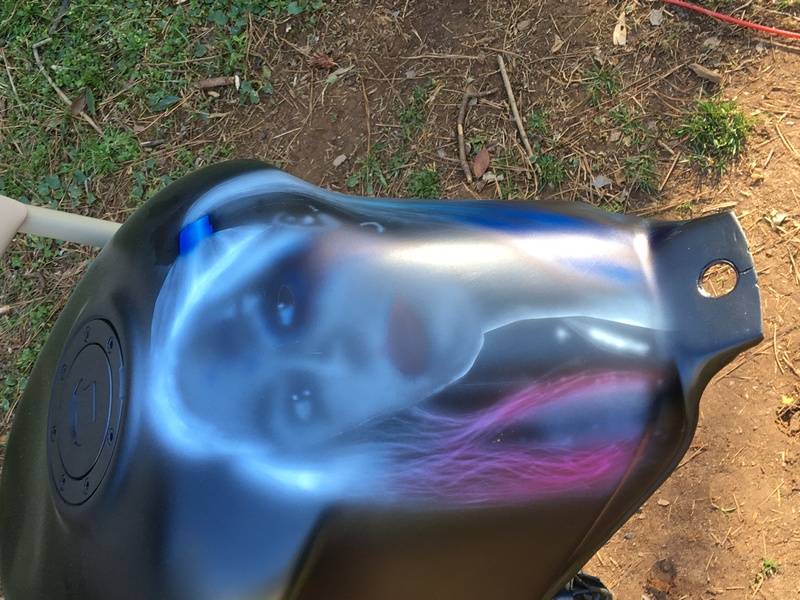 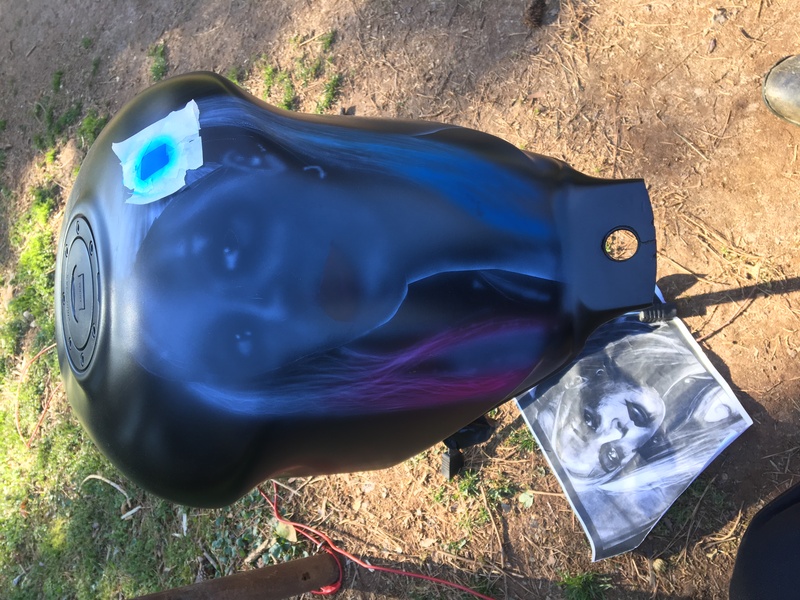 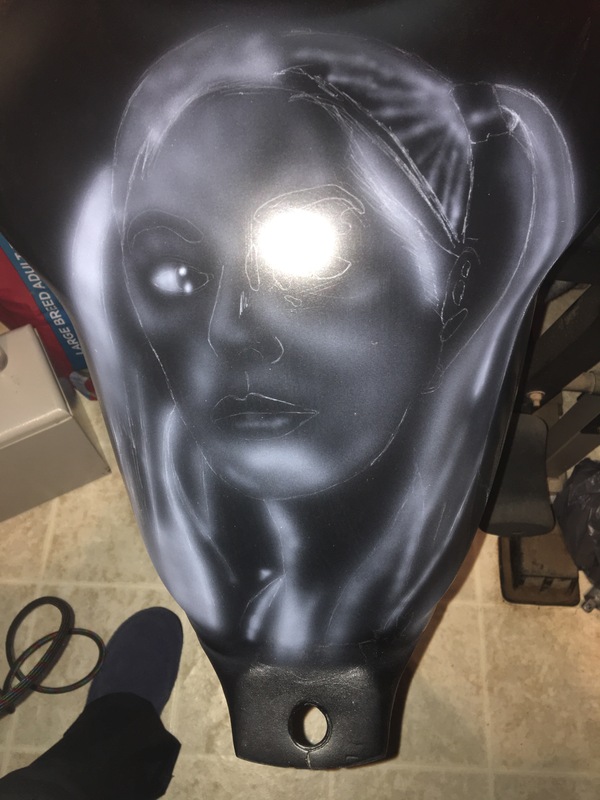 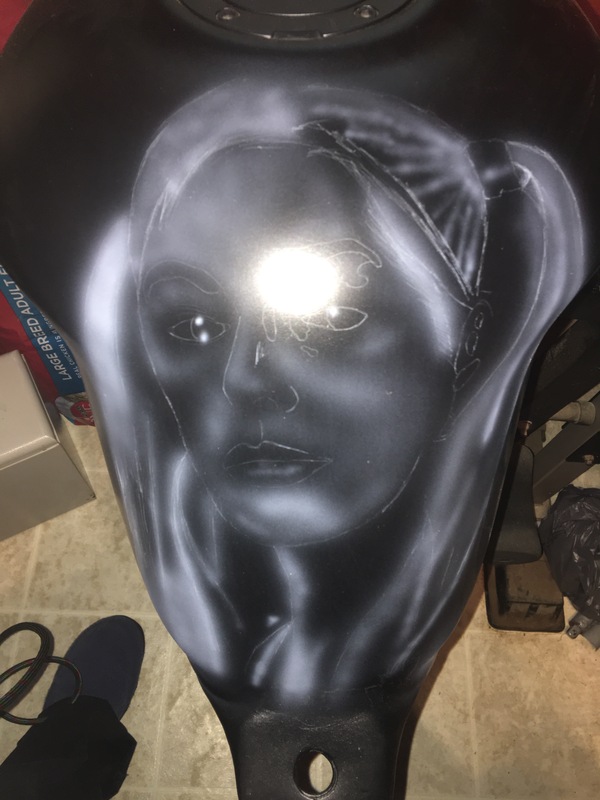 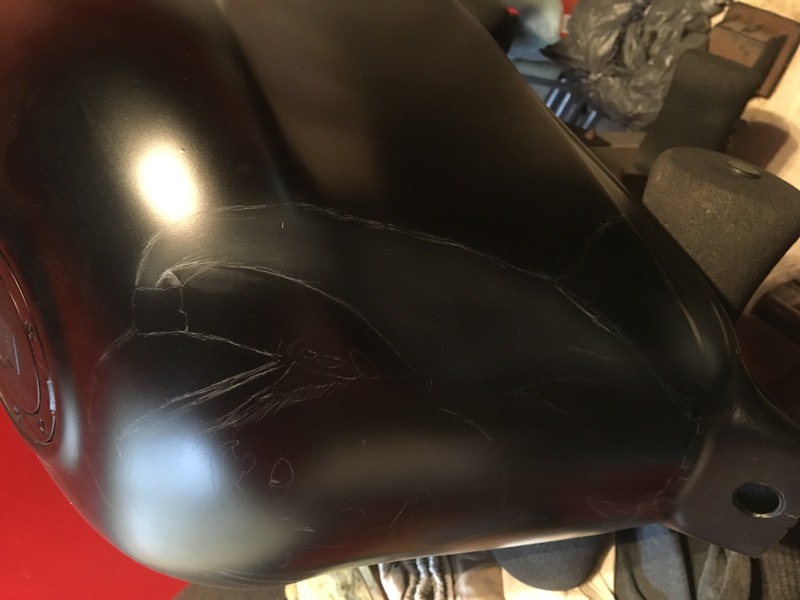 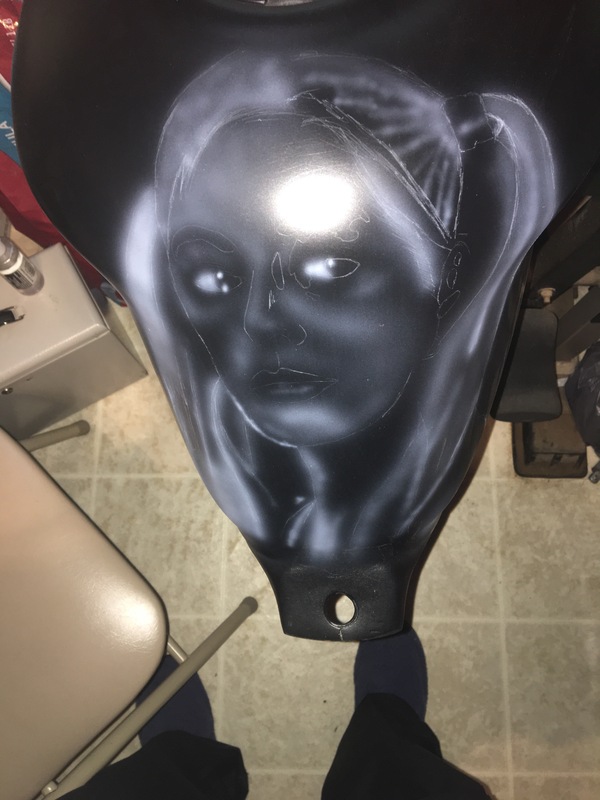 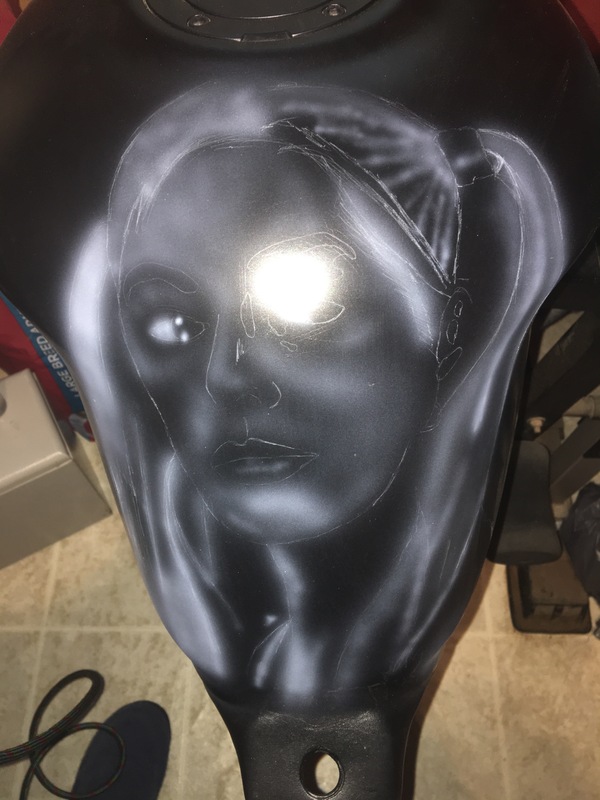 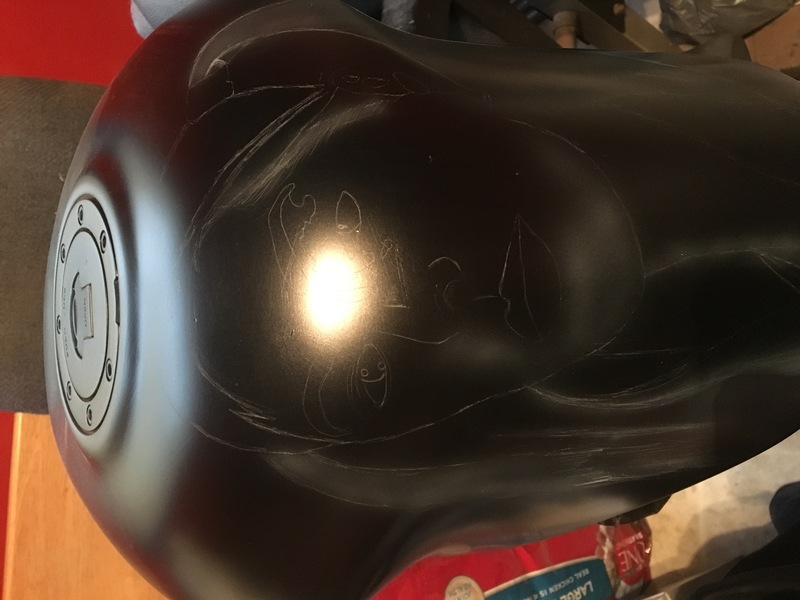 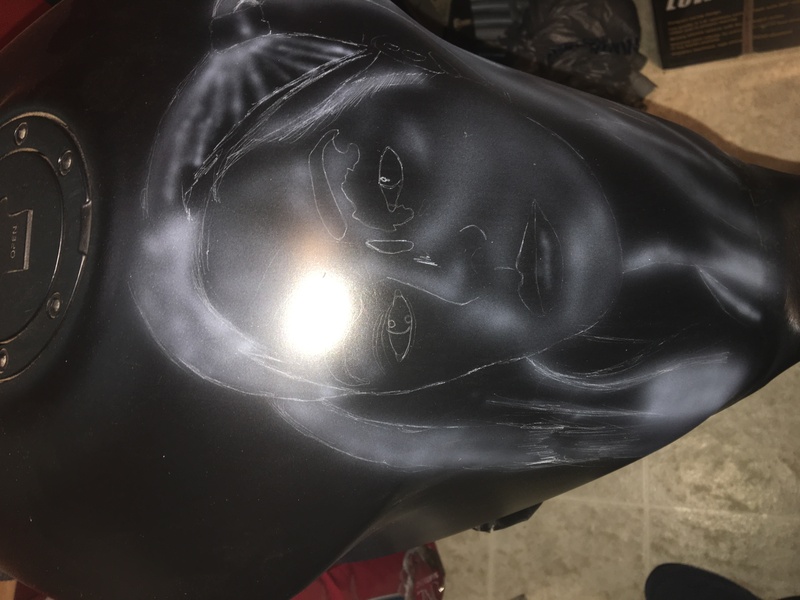 Quick Reply: Project: airbrush gas tank portrait.